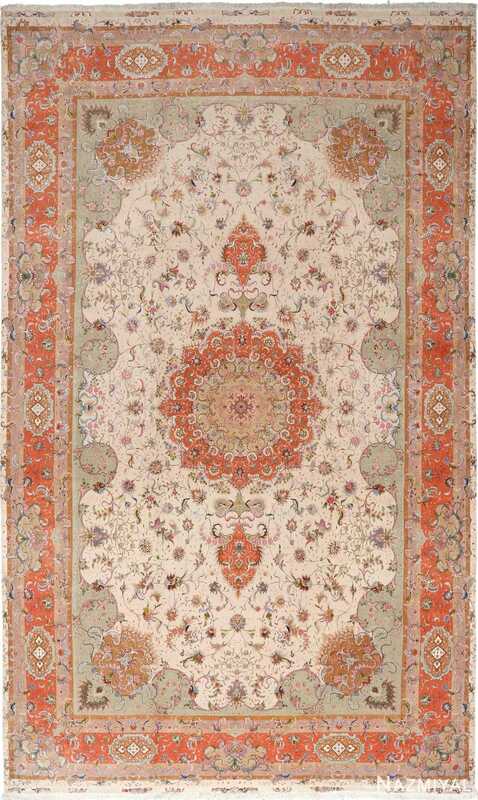 Intricate Large Ivory Vintage Tabriz Persian Rug 51143, Knots Per Square Inch KPSI: 500, Country of Origin / Rug Type: Vintage Persian Rug, Circa Date: Late 20th Century – Delightful in breadth and form, this finely woven vintage Persian Tabriz rug showcases a broad variety of details that are meant to captivate the viewer’s attention. 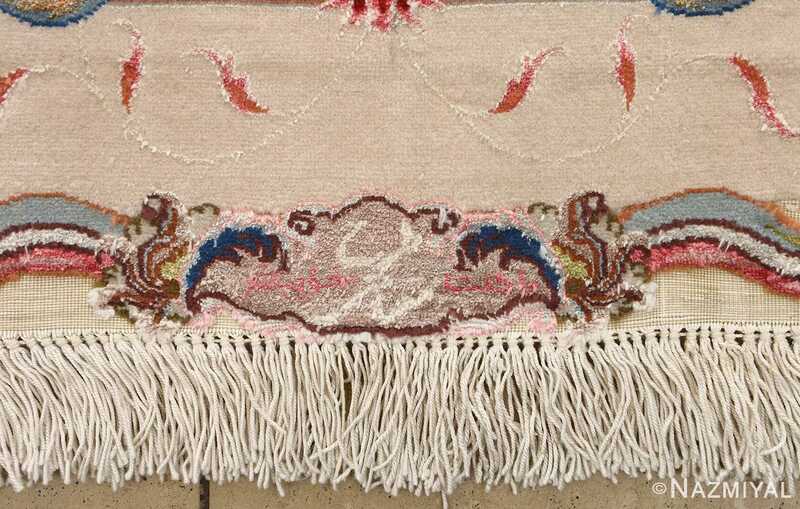 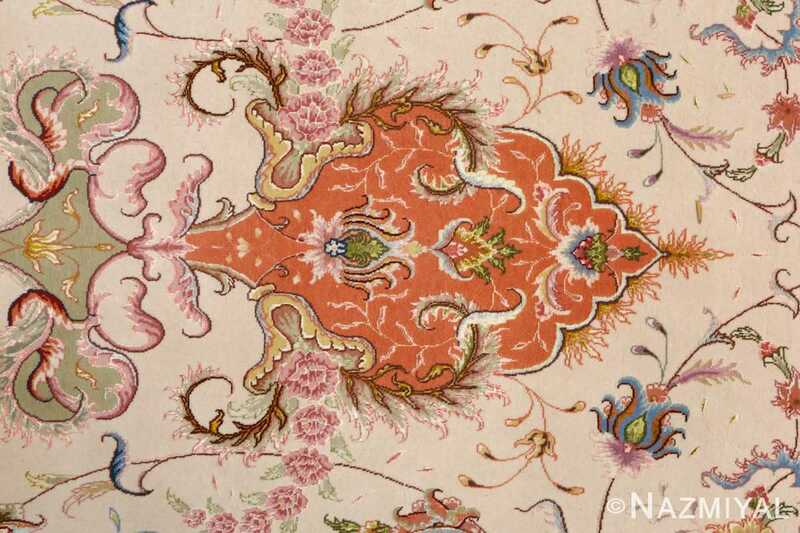 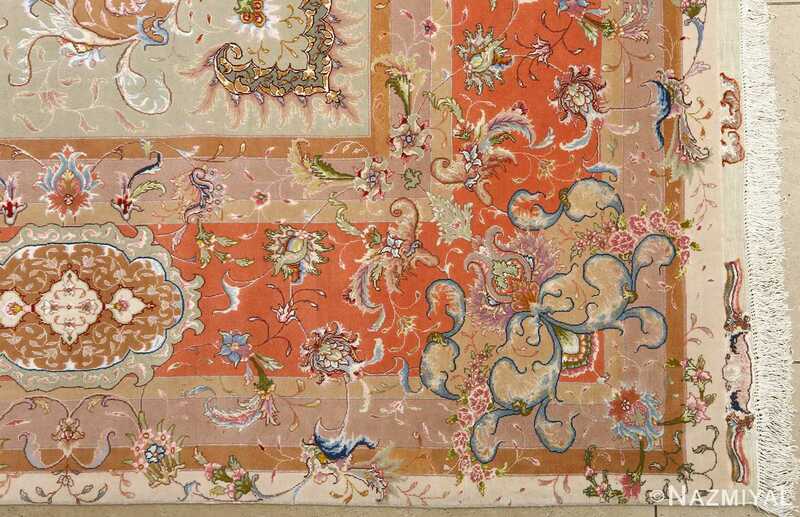 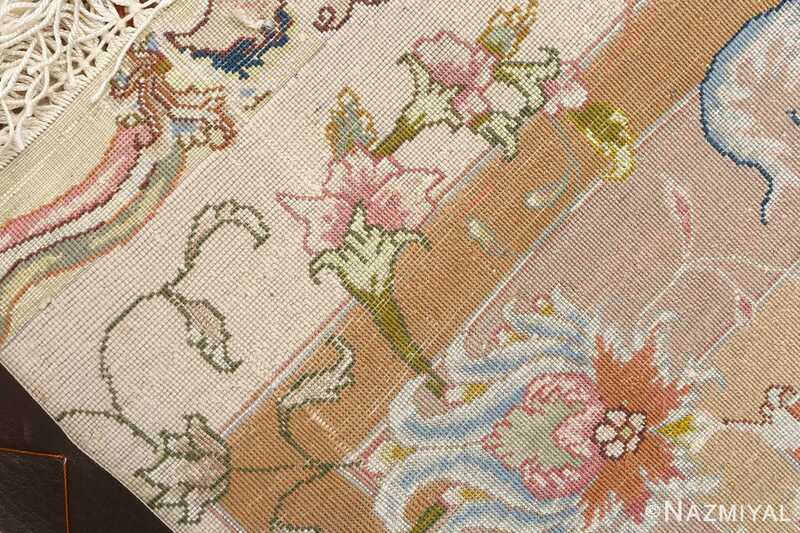 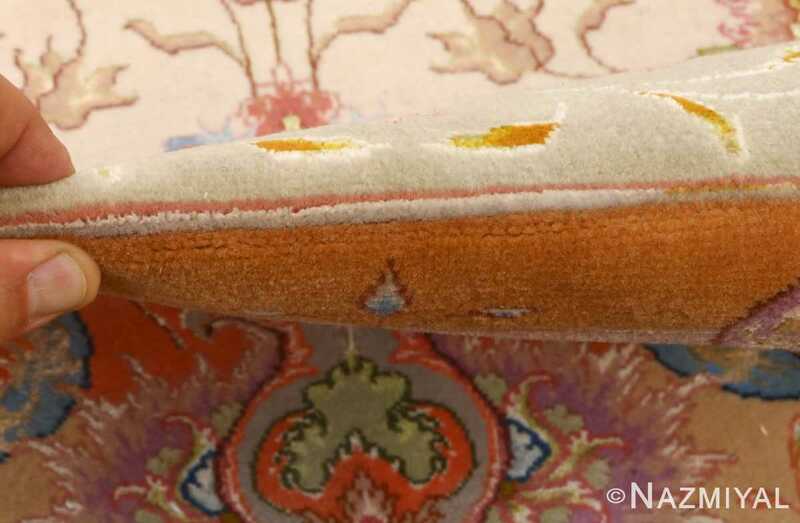 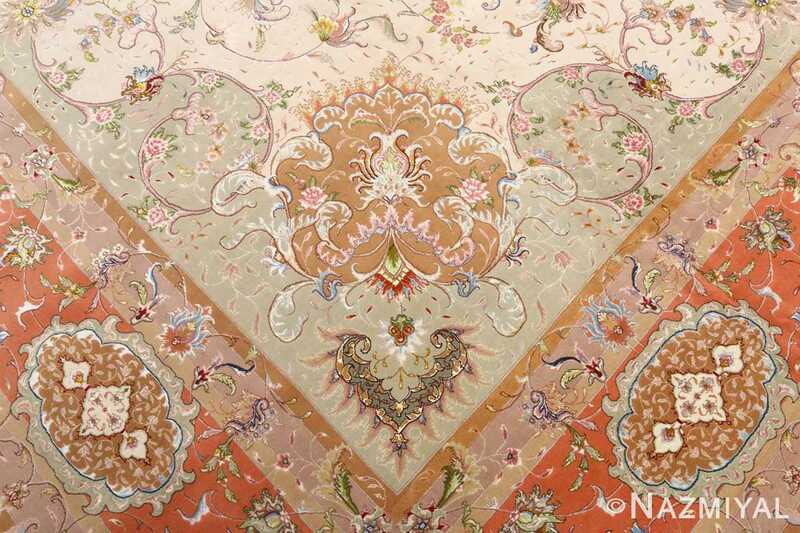 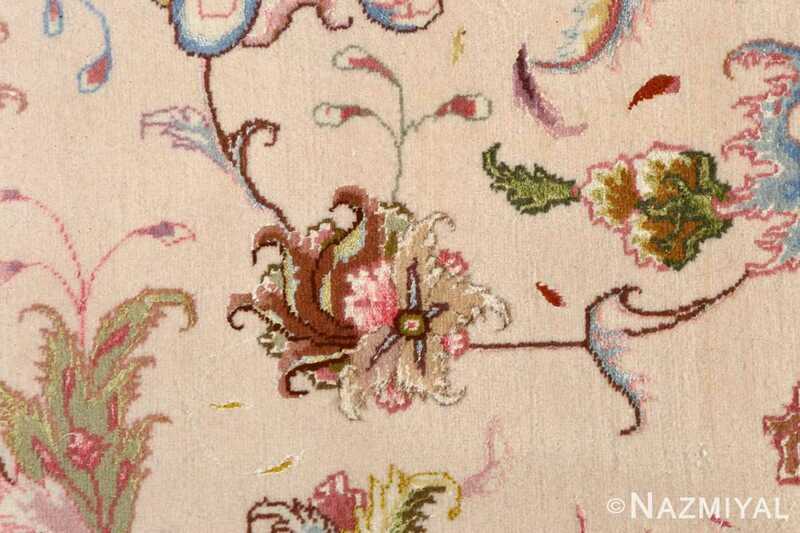 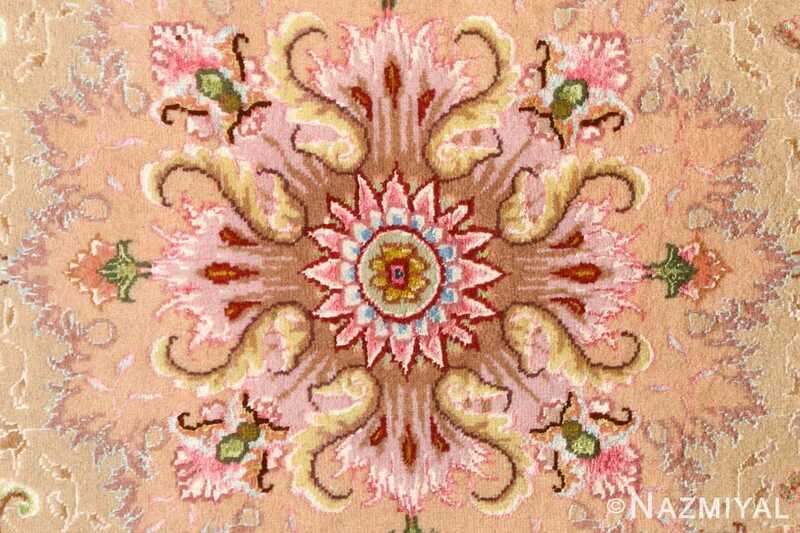 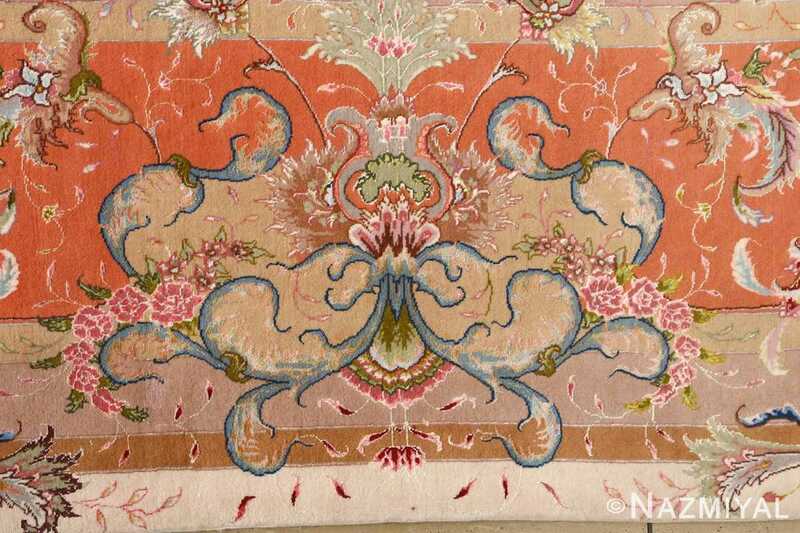 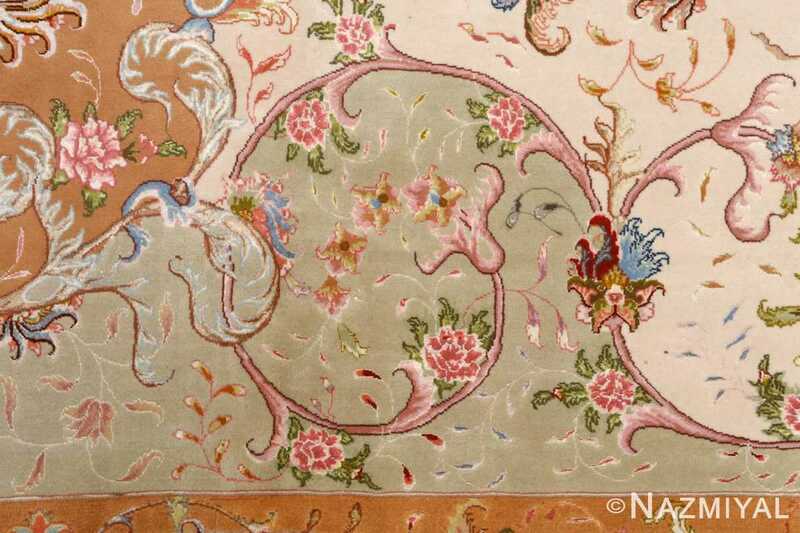 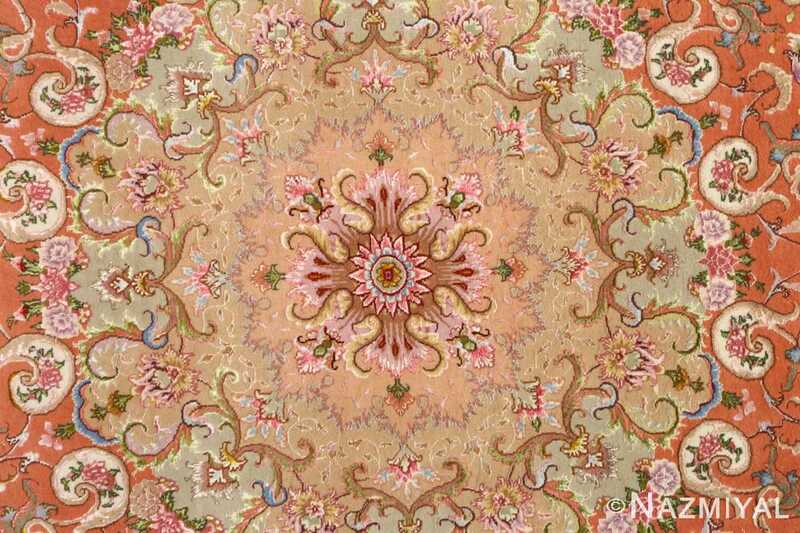 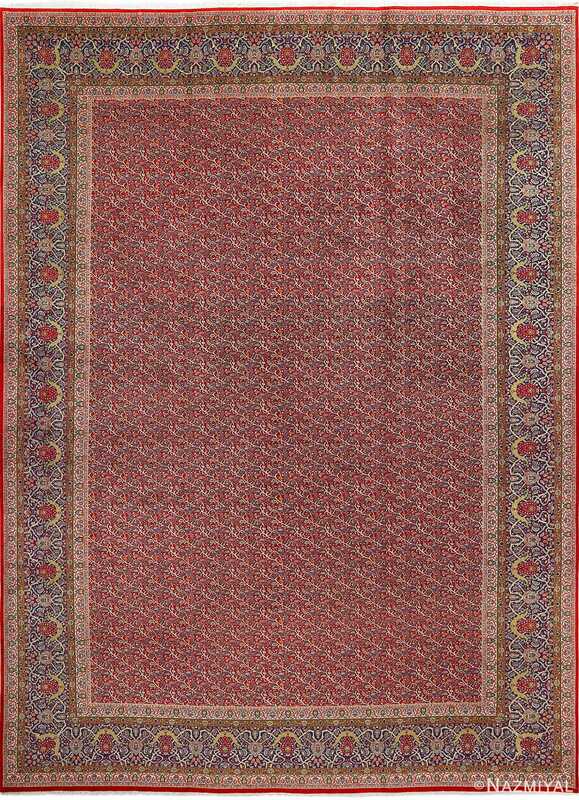 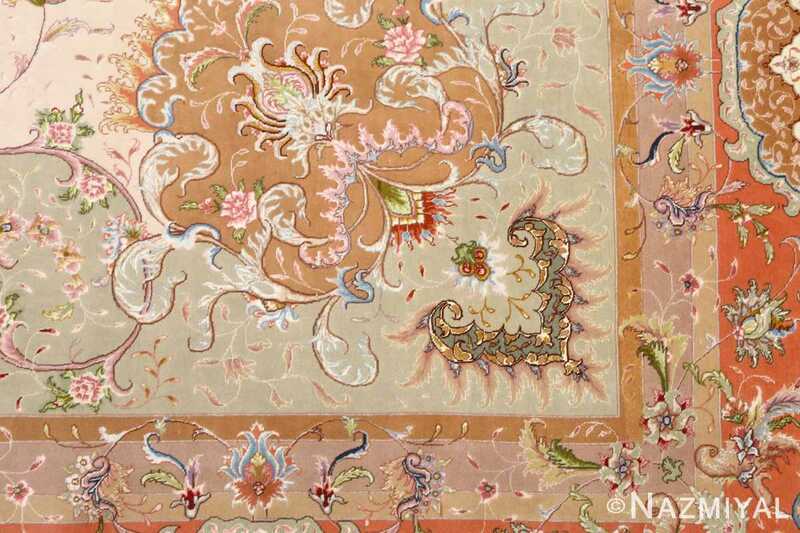 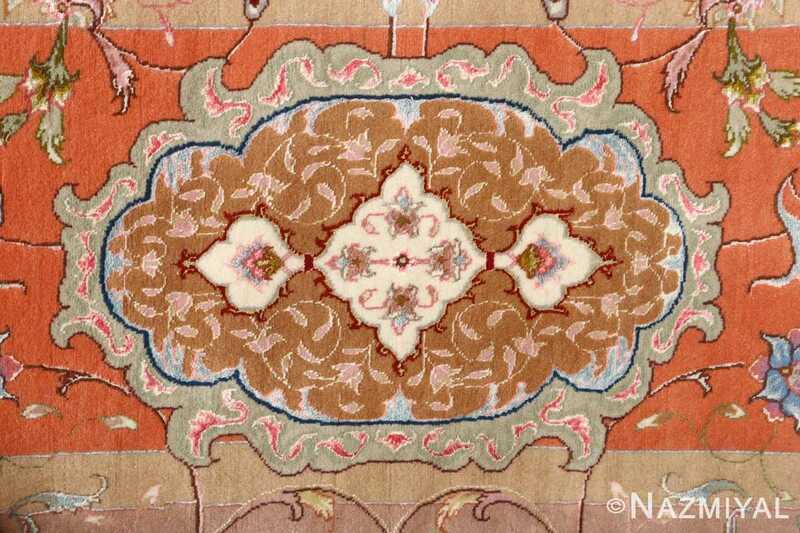 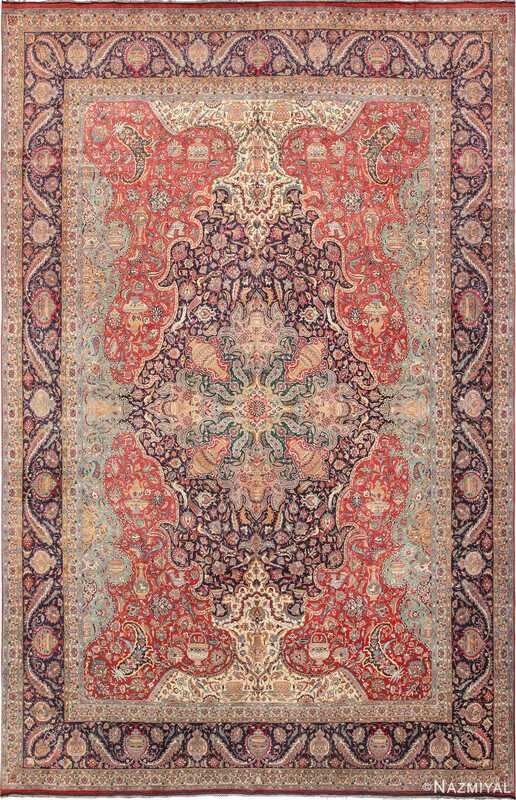 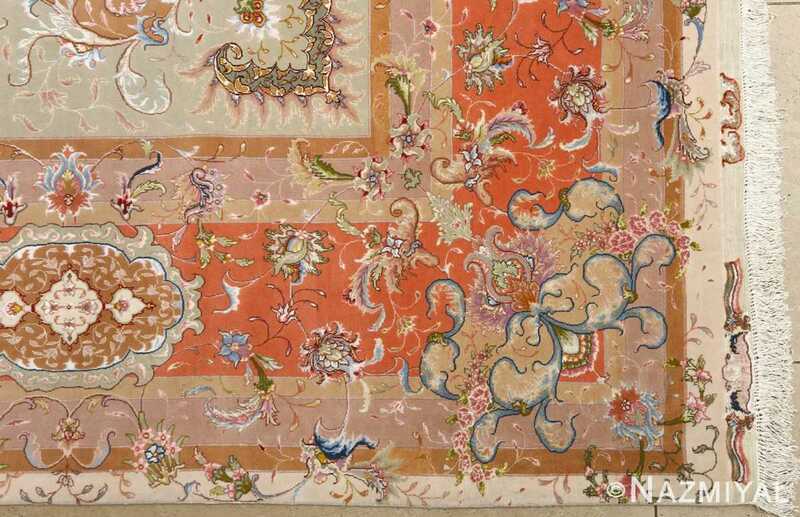 Numerous elegant curls and floral motions define the landscape, and the strong use of color results in a clear sense of composition throughout this vintage rug. The three most prominent tones stand well with each other, creating gentle contrast that helps establish easily definable landscapes for the viewer to navigate. 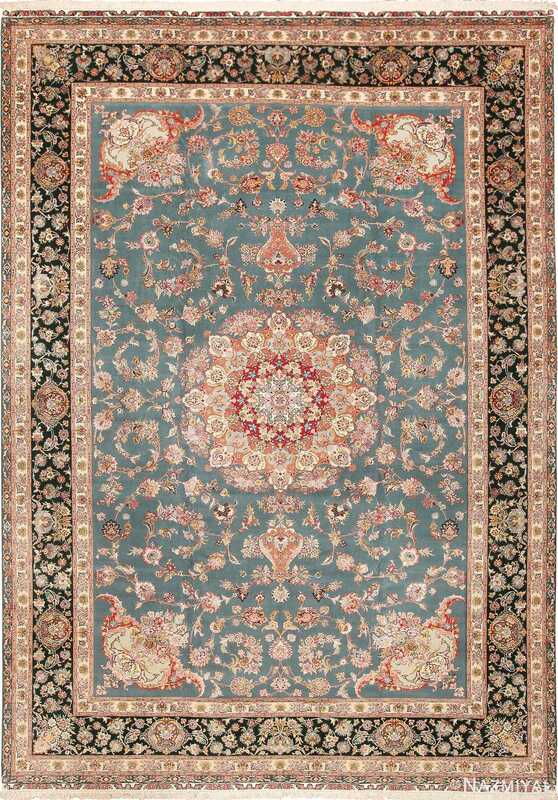 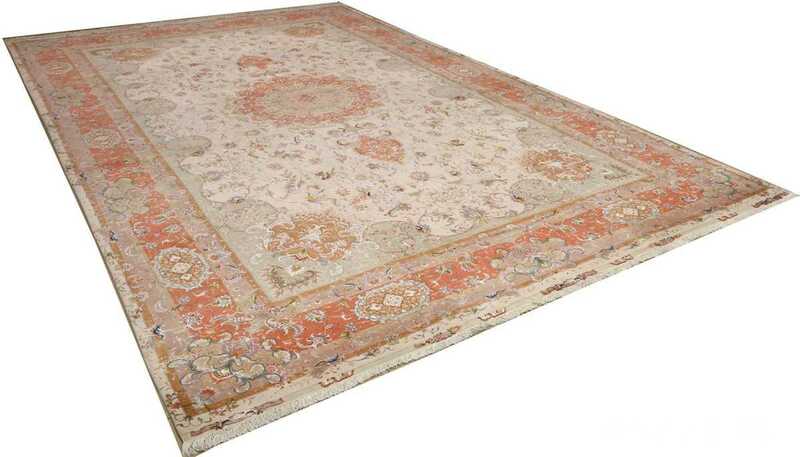 At the very heart of this beautiful vintage Persian rug, all of the tones are present in an inviting way, helping to guide and shape the rest of the themes present at the foreground of the masterpiece rug.